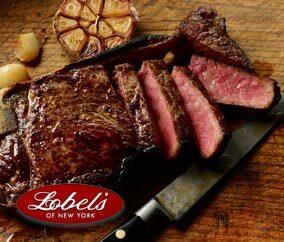 Treat your family to premium USDA prime beef and gourmet meats from Lobel’s. For over 175 years, they’ve been renowned practitioners of the butcher's art. Whether it’s their dry-aged steaks, all-natural lamb, poultry, Berkshire pork, artisanal sausages, or Wagyu beef, every order is hand-cut, individually vacuum-sealed, securely packed, and delivered overnight—fresh from their hands to your door.